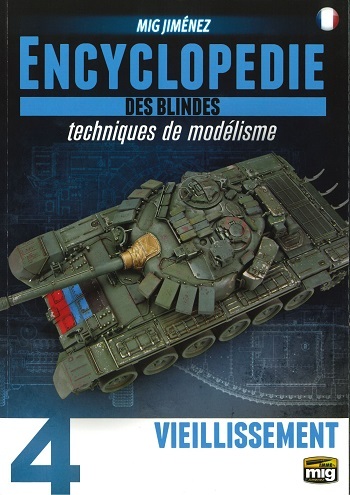 The definitive encyclopedia of model armored hand Mig Jiménez, creator of FAQ 1, FAQ 2 and many bestsellers in the history of model making, as well as a team of top tank designers from around the world under his direction. Through nearly 150 pages and over 700 large photos, Volume 4 explains step by step and in detail the aging and fading techniques needed to adapt your models to any scene with a highly realistic rendering . In this fourth volume of the Encyclopedia of Armor, we will examine in detail how to reproduce the accumulation of rust and the effects of dirt, the drippings of dirt, traces of rain, rust trails and various methods to obtain traces of dust and dirt. We will also explore the stains and splashes of mud, oil, grease, fuel and water marks, as well as various rust effects as well as age-specific aging scenarios in the desert and in winter. The techniques presented in the Encyclopedia are described using highly educational texts and numerous images illustrating the processes in every detail. This encyclopedia is the definitive tool of the workshops for all armored aficionados. Do not miss the fourth publication of this complete encyclopedia in 5 volumes!